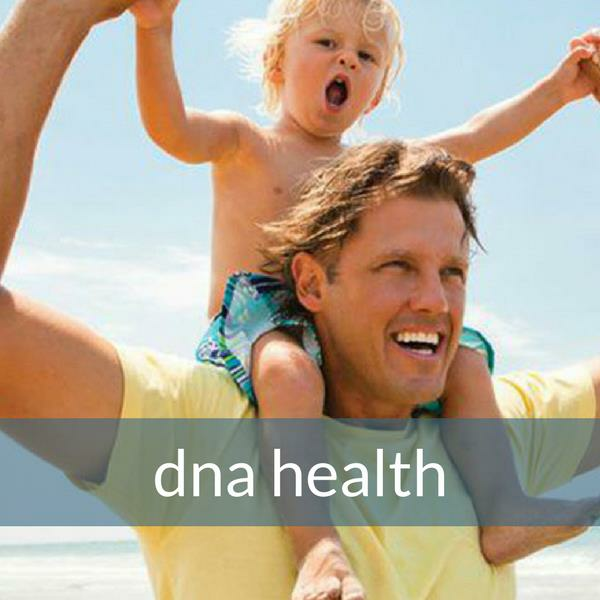 The DNA Health approach assists the healthcare practitioner in establishing the optimal nutrition necessary for good health, longevity and disease risk mitigation. Diet is a key factor in determining genomic stability as it impacts on all relevant pathways: exposure to dietary carcinogens, biotransformation, DNA repair and synthesis, and apoptosis. Current recommended dietary allowances for vitamins and minerals are based largely on the prevention of diseases of deficiency. However, because diseases of lifestyle are partly caused by damage to DNA it stands to reason that we should focus our attention on defining optimal requirements of key minerals and vitamins for preventing genomic instability. Additional attention should be paid to individuals with genetic polymorphisms that alter the bioavailability of specific micro-nutrients and the affinity of specific key enzymes for their micro-nutrient co-factor. The results are divided in sections of key metabolic function, so that genetic weaknesses and strengths within a functional area can be easily identified. LPL: Removes lipids from the circulation by hydrolysing triglycerides into free fatty acids. CETP: Plays a key role in the metabolism of HDL and mediates the exchange of lipids between lipoproteins. APOC3: Plays an important role in cholesterol metabolism. APOE: Is essential for the normal catabolism of triglyceride-rich lipoprotein constituents. Affects antioxidant requirement. PON1: Low serum PON activity has been associated with increased risk for coronary artery disease. 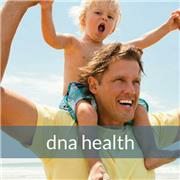 MTHFR: Directs folate from the diet either to DNA synthesis or homocysteine re-methylation. MTR: Catalyses the re-methylation of homocysteine to methionine. COMT: Catalyses the transfer of a methyl group from S-adenosylmethionine to catecholamines, including the neurotransmitters dopamine, epinephrine, and norepinephrine. MTRR: Catalyses methylcobalamin, which is essential for maintaining adequate intracellular pools of methionine. It is also responsible for maintaining homocysteine concentrations at non-toxic levels. CBS: Catalyses the conversion of homocysteine to cystathionine and is directly involved in the removal of homocysteine from the methionine cycle. CYP1A1: The cytochrome P450 enzyme converts environmental pro-carcinogens to reactive intermediates, which are carcinogenic. GSTM1: Influences Phase II detoxification. It is responsible for the removal of xenobiotics, carcinogens, and products of oxidative stress. GSTP1: Influences the metabolism of many carcinogenic compounds. GSTT1: A member of a super family of proteins that catalyses the conjugation of reduced glutathione. NQO1: Quinone Reductase is primarily involved in the detoxification of potentially mutagenic and carcinogenic quinones derived from tobacco smoke, diet and oestrogen metabolism. IL-6: Plays a crucial role in inflammation by regulating the expression of C reactive protein (CRP). IL-1: Certain genetic variations in IL-1A, IL-B and IL-1 RN lead to a more active inflammatory response, and have been associated with increased risk for a number of chronic diseases. MCM6: Associated with adult hypolactasia. FADS1: Influences blood fat concentrations by affecting desaturase enzyme efficiency. CYP1A2: This detoxification enzyme influences the ability to metabolise caffeine. ACE & AGT: Part of the renin-angiotensin system and response to salt. TAS2R38: TAS2R38 encodes the taste receptor responsible for the sensitivity to bitter compounds. HFE: Regulates iron absorption by regulating the interaction of the transferring receptor with transferrin. Hereditary haemochromatosis results from defects in the HFE gene. eNOS: Influences vascular tone and peripheral vascular resistance. It also has vaso-protective effects by suppressing platelet aggregation, leukocyte adhesion and smooth muscle cell proliferation. MnSOD/SOD2: Has vital anti-oxidant activity within the cell, especially within the mitochondria. It destroys the radicals that are normally produced within cells. CAT: Decreased CAT activity leads to increased concentrations of hydrogen peroxide, hence leading to increased oxidative stress. GPX: Glutathione peroxidase 1 (GPx1) is the most abundant of the selenoperoxidase enzymes and helps to maintain redox balance. VDR: Has a profound influence on bone density. COL1A1: Influences the ratio of collagen-alpha chains produced by bone cells, affecting bone mineralisation of bone and bone strength. TCF7L2: Influences blood glucose homeostasis – both insulin secretion and resistance. FTO: Influences susceptibility to obesity and risk for type 2 diabetes. SLC2A2: Facilitates glucose induced insulin secretion and is involved in food intake and regulation.